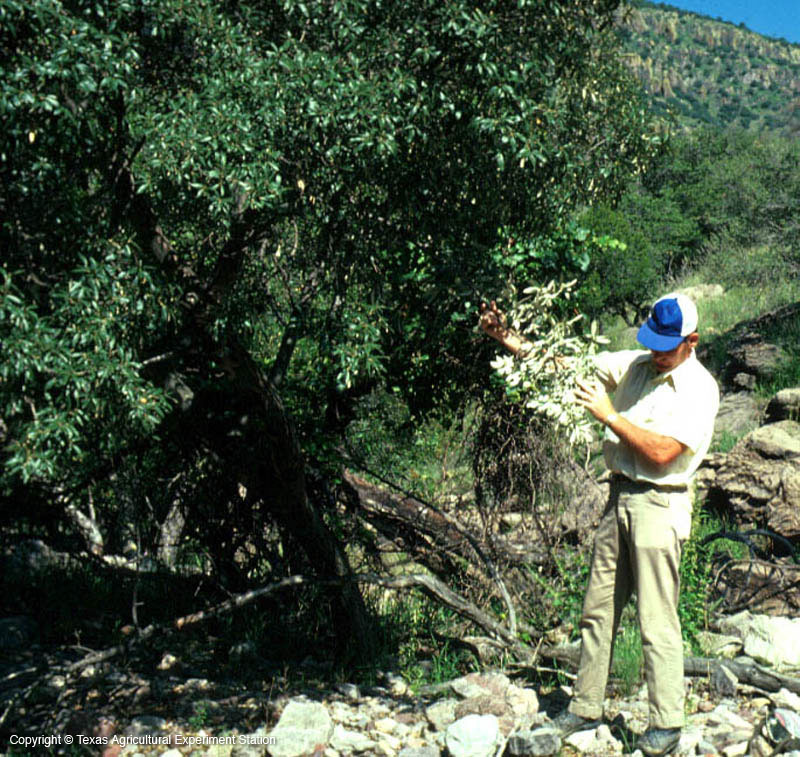 Silverleaf Oak is found only at high elevations in the Davis Mountains in west Texas. 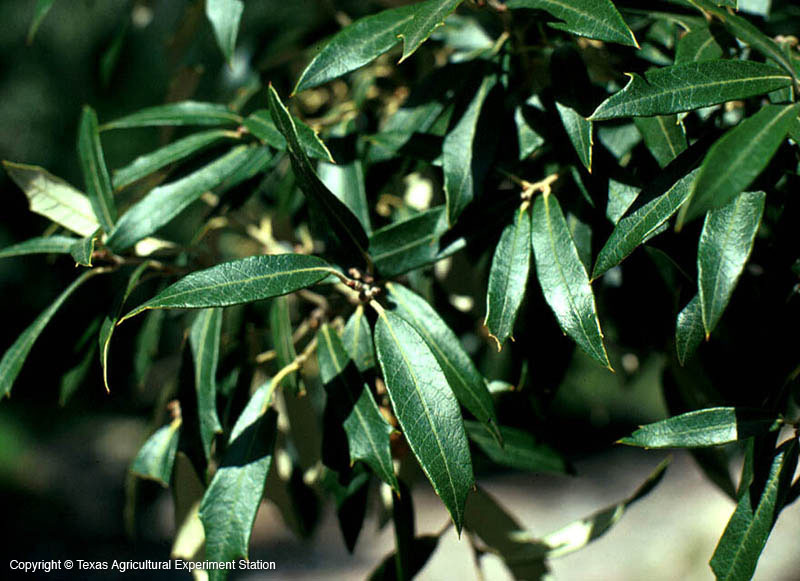 Its lance- shaped leaves of silvery white below and dark green above clearly distinguish it from other oaks. 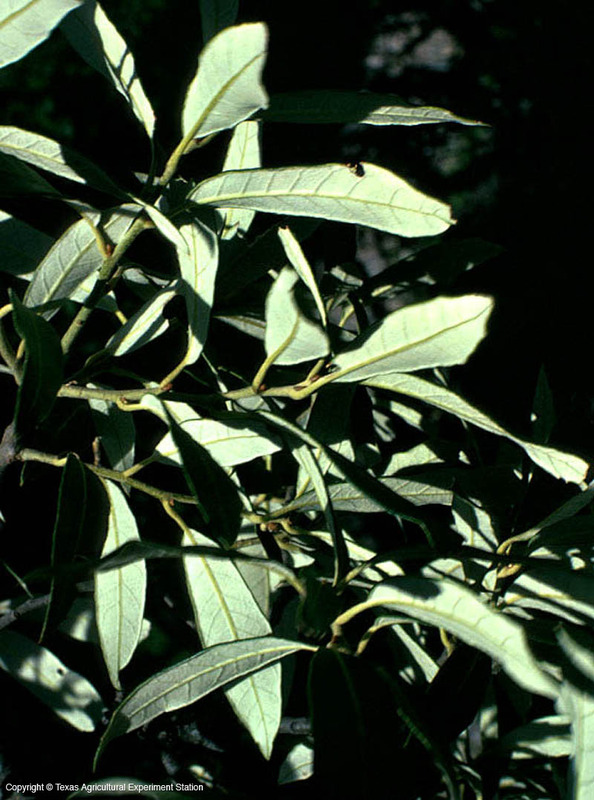 The trees' height and leaf size and shape varies according to its exposure and moisture supply - it can form dense 3 to 4 foot thickets, or grow to 40 feet tall, depending on the environment. The acorns can mature in either one or two years, even though it is a member of the black oak group, whose acorns usually take two years to mature.